I know... I know. I have been awful at posting. My only excuse is I have about ONE MONTH until baby girl gets here and I am super distracted!! I apologize. But maybe these delicious little nuggets will make up for it. 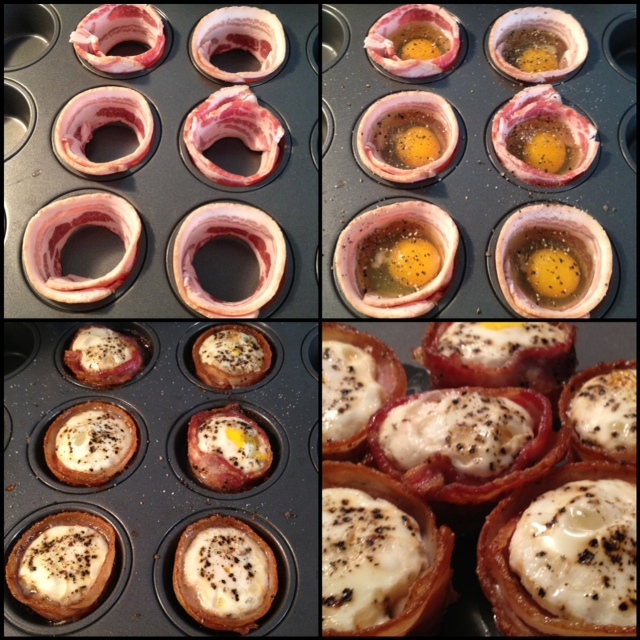 I will let the visuals do all the talking- except bake them at 375 for 14-17 min (depending on how you like the yolk). Tried these. I recommend cooking the bacon a bit first. 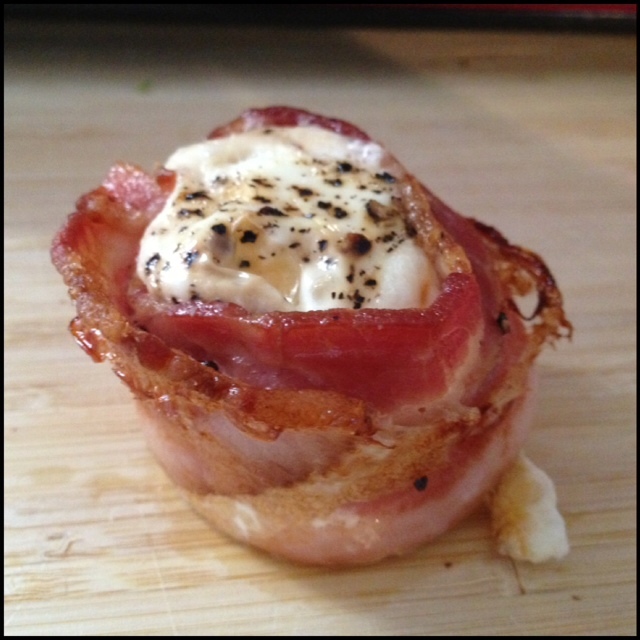 My wife and I tried to cook them till the bacon was done and they turned into hardboiled eggs with not so cooked bacon.